Jeffery says that the majority of the U.S. population eats a diet high in saturated fats and added sugars. However, both of these are stored in the liver and can be converted to body fat. Consuming a high-fat, high-sugar diet and having excess body fat is linked with the development of NAFLD, which can lead to diseases such as cirrhosis and liver cancer. Previous research suggests that broccoli, a brassica vegetable containing bioactive compounds, may impede the accumulation of fat in the liver and protect against NAFLD in mice. Therefore, Jeffery and her team wanted to find out the impact of feeding broccoli to mice with a known liver cancer-causing carcinogen. The researchers studied four groups of mice; some of which were on a control diet or the Westernized diet, and some were given or not given broccoli. 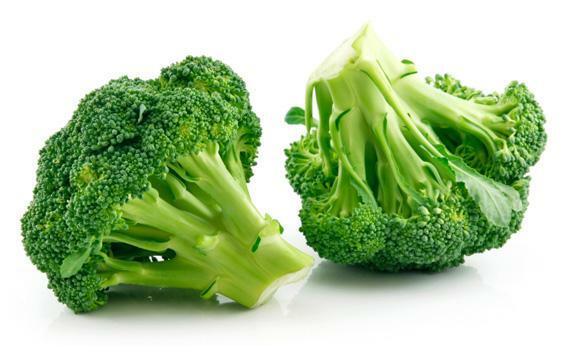 Although the researchers were predominantly interested in broccoli’s impact on the formation and progression of cancerous tumors in the liver, Jeffery explained that they also wanted to observe the health of the liver and how the liver was metabolizing lipids because of the high-fat diet. “There is almost no information about broccoli and high-fat associated diseases,” she says. The study shows that in mice on the Westernized diet both the number of cancer nodules and the size of the cancer nodules increased in the liver. But when broccoli was added to the diet, the number of nodules decreased. Size was not affected. Jeffery’s previous research shows that eating broccoli freshly chopped or lightly steamed is the best way to get to the vegetables’ cancer-fighting compound, sulforaphane. Although the researchers only used broccoli in the study, Jeffery adds that other brassica vegetables, such as cauliflower or Brussel sprouts, may have the same effect. “Dietary broccoli lessens development of fatty liver and liver cancer in mice given diethylnitrosamine and fed a Western or control diet,” is published in the Journal of Nutrition. Co-authors include Yung-Ju Chen, previously of the U of I, and Matthew Wallig and Elizabeth Jeffery of the U of I. Funding was provided by the National Cancer Institute (National Institutes of Health).